You must make reservations at least 5 minutes in advance of the time at Vintage Wine Bar & Bistro. Vintage Wine Bar & Bistro is located in the Midtown Village neighborhood of center city. We offer over 60 wines by the glass and a French-American bistro menu perfect for dinner. There is always something new, with five seasonally-inspired dinner additions each day. Our menu is flexible enough for a three-course meal or snacks for the table with a price range of $5-$20. The wine list highlights grape varietals from around the world with daily wine specials and flights featured on the chalkboards. If you are not in the mood for wine, we also have about 25 beers and plenty of cocktails. Our kitchen is open until midnight everyday. Extensive wine list and a short but nicely chose food menu made this a perfect meeting spot to have a few glasses of wine with friends. Nice outdoor patio- even though that was full for our visit, the restaurant has large windows which opened up to let the spring air in the entire restaurant. The food was delicious and they easily accommodated our food restrictions. Would definitely come back for happy hour or dinner! The food was wonderful and certainly an terrific selection of wine. The service was warm and attentive. Hats off to the GM. We'll definitely be back. Good food. We especially like the special of squid ink pasta with scallops. Portions are small. Wine is priced fairly. The food was as really good, esp. the salmon entree, and the service (by Alex) was good. While I’ve always enjoyed the red wine choices here - they do a great job finding unique reds - both of us thought the 3 choices in the Italian red wine flight were just mediocre. Grata food and wine. The mussels were amazing! Overall, we loved our experience there but the service could have been better. Maybe it was where our party was seated or because they are guaranteed a 20% tip for large groups, but service was lacking. When waitstaff was there it was great but we rarely were able to get anyone’s attention to call out that place settings were missing, we needed more wine, etc. Would I still recommend it...totally. The place is great. The food is delicious. And the wine was out of this world! Improving the service experience would match this place top notch in my book. Took my husband to Vintage for his birthday, as it is one of his favorite spots in Philly. We ordered 3 appetizers, but only 1 was delivered to us. It took about 15 minutes to flag our waiter down and when we told him that we never received 2 of the appetizers, he never apologized, walked away, and had another waiter give us our check. We were very cordial when speaking to the waiter, so I am not sure where the hostility came from. Will not be returning. It was a great birthday dinner. I would go back to try more wines! We had a very pleasant post-flower show dinner with excellent wines of the day. Entree portions are not large, which was fine our (older) crowd. Service was friendly and very knowledgeable. Not the place for a quiet weekend dinner out, but the ambience was busy and energetic. Menu offered several choices and the wait staff was ready to answer all questions. This is a delightful place to visit and very accommodating for theater goers. An experience we are happy to recommend and to repeat for ourselves! Three of us were seated at a high top big enough for two. When I requested a regular table (which was open), we were told they were overbooked and had larger parties that needed the table. When we left an hour and a half later the table was still empty 😡. 2 Food specials we tried were underwhelming and tasteless. Would be a nice place just for a glass of wine at the bar. We had a fun evening at the VIntage Wine Bar and Bistro. The flight selection for reds was really good and the food was excellent. We had mussels and salmon. We will definitely return. Limited menu, but food was great. Hopping bar scene, so dining was loud. Great burger! We can always count on a great glass of wine to accompany a delightful meal at the Vintage Wine Bar. Our server was great in recommending wine that fit our tastes and the food was delightful. I had the soup of the day (squash soup with Gruyere crostini) and the mushroom in puff pastry while my partner had the duck breast. The only detraction to the evening (which was a quick bite before heading to the orchestra), was the noise level in the bar. We've found the bar to be at its best during off peak hours when the noise level is lower. Really - one of us had a noise meter app on their phone and it was in the red! Maybe some acoustic tile would be a worthwhile investment for the bar, or at a minimum - get rid of the sound system at peak hours. Vintage has an incredible selection of wines by the glass, as well as some wine flights. You can also get half or full cheese plate that never disappoints. There is other food on the menu as well but I never get beyond cheese and wine! Service is always impeccable, with extremely knowledgeable and attentive servers. It can definitely get noisy in here- particularly as it gets later in the evening, but still one of the best wine bars in the city on my list! Wine list is great - the by the glass options are outstanding. Food was mixed. Service was friendly but sporadic - we got off to a great start but near the end we were actively flagging down our waitress. (In fairness, they were packed). We sat at a high top next to the bar. It was very noisy and the music was way too loud. Service was good. Food is tasty, but expensive for what you get. 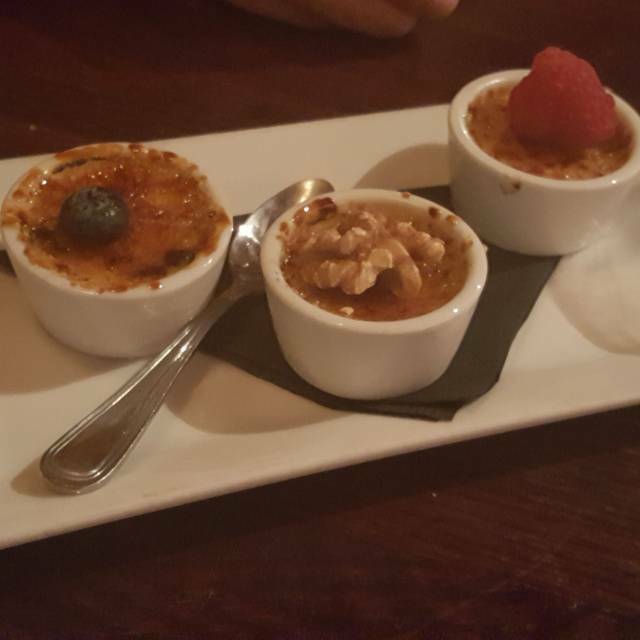 Vintage Wine Bar & Bistro was perfect for a date on our trip tp Philadelphia. The space was gorgeous. The dinner menu was small, but they have several chalkboard additions to the menu each night. We started with cocktails, which were delicious and very much on the strong side. We split the marinated olives, baked brie, and stuffed mushroom to start. Everything was very tasty without being heavy. We then split the steak frites, opting for duck fat fries. It was perfectly cooked and seriously delicious. With the steak, we had a glass of the Montepulciano. The wine list was extensive without being overwhelming. This dinner cost us about $100 with tip, which I found very reasonable considering the quality of the food, cocktails, and wine. The room was full, vibrant, but not too loud. I would absolutely come back here the next time I find myself in town. Beautiful wine bar, food was great as well as the wine flights we enjoyed. However, for the space, they were playing hip hop music and it just didn’t match the ambiance of what was happening inside. Overall worth it. Perfect birthday dinner! I’ve come here for everyday happy hours, girls nights, date nights and just craving wine. Whatever the occasion - great food, wine & people! Amazing waitress, wish I could remember her name. So knowledgeable about the wine and food. A little loud but everything else was incredible. Thank you! Great ambience! Loved it. Friendly staff and great food! The burger was awesome! The split pea soup was warm and yummy! The wine was good and the menu seems inclusive of different diets. The ambiance was nice, dimmed a little. I thought the portions were a little small but the food was excellent. I had the salmon with mixed greens and the hand-cut french fries, all very good. My dad had the chicken with squash and he really liked his too. Our waitress was friendly and energetic. Way too loud. A bar not a restaurant but great waitress and fine if that’s what you’re looking for. Really enjoyed our evening. Britton was helpful in choosing delicious wines for us and our onion soup, burger, duck-fat fries and cheese plate were all delicious! Will come back next time we visit Philly. The after-work bar scene is LOUD, so beware if you're going for dinner. It's probably less noisy later on. (we were there at 6:30) Kind of a small (but interesting) wine list for a place that calls itself a wine bar. No food complaints. French-influenced and good. No service issues either. Staff was pleasant. We loved everything we ate. We came here for Restaurant Week (and the menu was fantastic), but I’ve been to Vintage before for happy hour. Love it! Having been to Vintage a number of times, for both drinks/snacks and dinner, I was utterly disappointed the Monday I went with an out-of-town guest, who is also a wine fanatic. The evening was slow and we arrived at 6:15 but the server seemed to be off in another world: inattentive, disengaged, no where to be seen and we were one of a few tables. We had to request everything...and a long time waiting for our choices. The menu is very limited and although our app of calamari was tasty, my veggie burger had no flavor at all...my friend complained that the tuna he had was overpriced and underwhelming. Just over all a disappointment. With so many great choices on 13th Street, they need to up their game...at least make diners feel welcomed and appreciated. Poorly trained staff were more interested in socializing with each other than checking on our table needs. Excellent service! We were attended by several staff members all of whom were very helpful, courteous and friendly. We enjoyed a flight each and burgers (veggie and meat). Amazing! 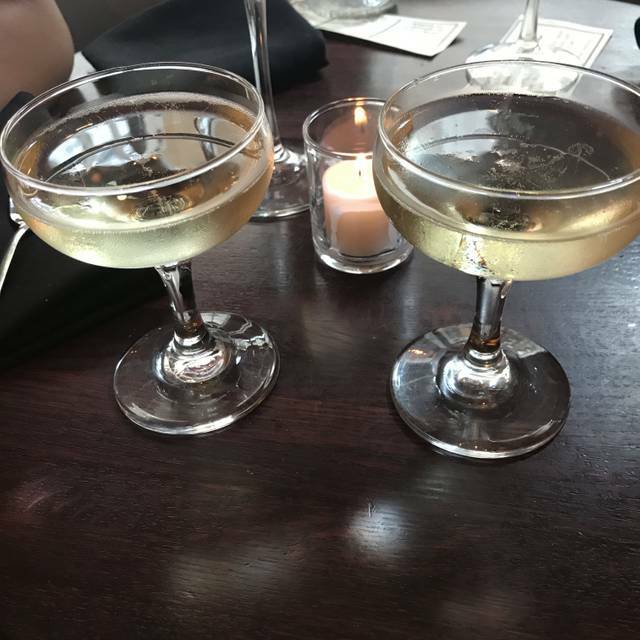 BONUS - complimentary champagne to celebrate our anniversary! This place has a very nice ambiance, and was not packed or noisy. The food was incredible and had a lot of fun interesting flares. Red wine flights were excellent, & we both enjoyed our food - a cheese plate & a phenomenal salad. I’d definitely go back here! Wine selection is great. Food is just average. Not much taste. Great service, good menu, generous flights, everyone seemed to enjoy their meal. Go all in on the duck fat fries! Went we arrived for our reservation, the hostess was extremely helpful when I asked for a gluten fee menu...they didn't have one. However, the hostess made many suggestions about how to adapt items on the menu to make them GF and put me at ease stating that she was GF also. I didnt catch her name..wish I had but she took the time to pointing out the menu items she loved, one of which I had and it was truly yummy and the best part..worry free of getting sick from my allergy. Thanks so much for veing wonderful , we'll be back for sure! First time visiting and was hoping to get there early to make Happy Hour...well, traffic, parking got me there shortly afterwards. The server was great and offerred to honor first round on both wine and appetizer. $4 house wine was good and the mussels were fantastic! Ask for more bread or a spoon as the broth is worth consuming and not wasting! Tonight, softshell crabs were a special and they were excellent! Service, atmosphere and food were all great!